SEOUL, Feb. 13, 2018 — LG Electronics (LG) will introduce the first of a suite of AI technologies for its smartphones at this year’s Mobile World Congress in Barcelona, Spain. The new technology will be featured in the 2018 version of the LG V30, LG’s most advanced flagship smartphone to date. LG spent more than a year researching how AI should be implemented in smartphones, long before announcing LG ThinQ at CES 2018. This research focused primarily on making AI-based solutions with the objective to deliver a unique and more intuitive user experience, focusing on the camera and voice recognition. The result is a suite of AI technologies that is aligned closely with the needs and usage behavior of today’s users. Vision AI automatically analyzes objects and recommends the best shooting mode from among eight modes: portrait, food, pet, landscape, city, flower, sunrise, and sunset. The angle of view, color, reflections, backlighting, and saturation levels are all taken into consideration as the phone analyzes images in its database to determine what the camera is focusing on in order to recommend the best setting. For example, pointing the camera at a plate of pasta will result in food mode being invoked, resulting in warmer colors and heightened sharpening for the most appetizing shot possible. 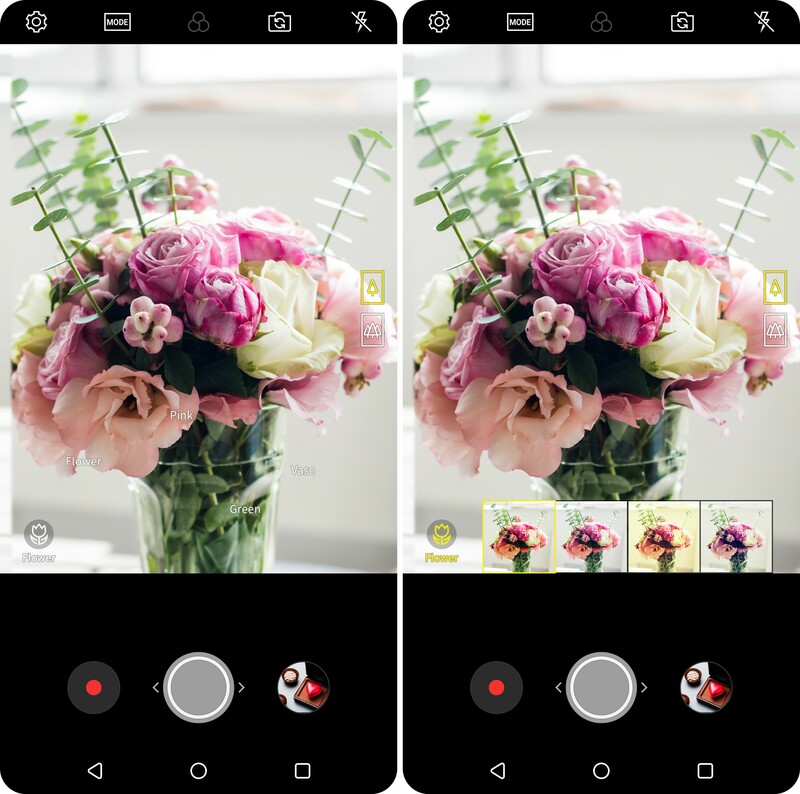 LG collaborated with a partner in image recognition to analyze over a 100 million images in order to develop the phone’s image recognition algorithms. Over one thousand unique image categories were created for more accurate image analysis, resulting in better shooting mode recommendations. Another feature of Vision AI provides shopping advice through smart image recognition. 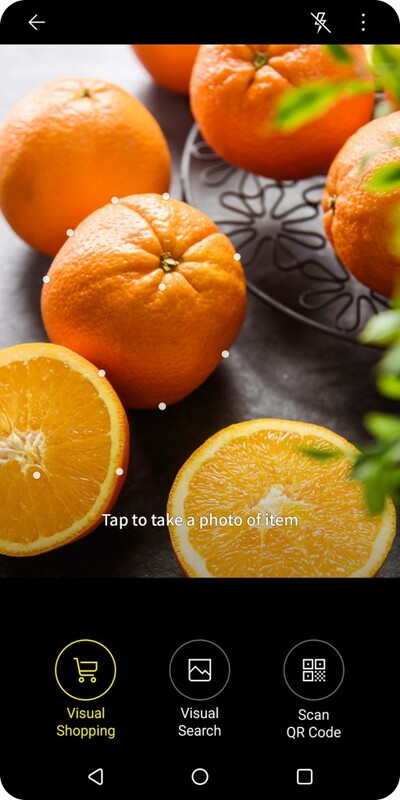 By simply pointing the camera at an object, LG’s Vision AI can automatically scan QR codes, initiate an image search or provide shopping options including where to purchase the item for the lowest price and other similar products that the customer might find of interest. A new low-light shooting mode automatically brightens images in dim environments by a factor of two. Instead of conventional methods of measuring external light levels, Vision AI instead measures the brightness of the actual image that will be recorded, resulting in brightness levels that are adjusted much more accurately.